“I’m a Mac… and I’m a PC”. The Macquarium is both, if you spell the latter “P Sea”. 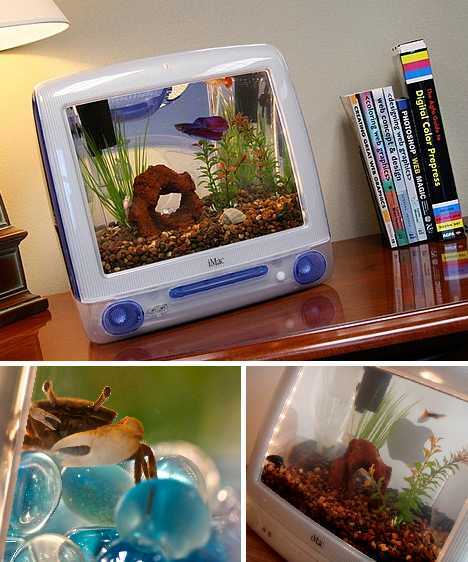 Call it smug or just a clever way to recycle Apple’s iconic iMac G3; either way the Macquarium is an aquarium well worth monitoring, and the only floppy drives included are the tails of your finny friends. The late Steve Jobs challenged us to “Think Different”, and the iconic computer lifestyle products designed and engineered by Apple Inc were a reflection of that philosophy. Some might say we’ve become so attuned to Apple’s unique aesthetic sense, everything else looks “different” – and not in a good way. What we may call “Apple Style” lends itself to the warm & fuzzy, kinder and gentler decor most of us choose to surround ourselves with at home, work and play. It’s really no surprise, then, that a host of artistic Apple fans have endeavored to adapt, rework and modify some of Apple’s most-liked products so that they can continue to add joy to our lives and beauty to our abodes. Take Jake Harms, for instance, the man behind the Macquarium. Harms isn’t a full time iMac modifier, the Nebraskan runs a successful wedding photography and videography business with his wife, Stephanie. 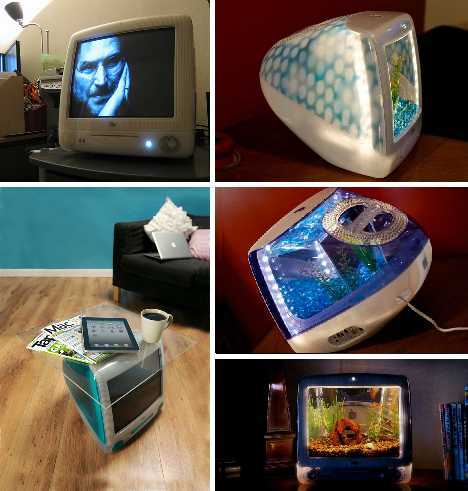 The urge to create couldn’t be denied, however, and in 2007 Harms began looking into ways to build unique aquariums – presumably for fun and profit. Doing a one-off concept was one thing; building a standardized product that could be sold over time was another. 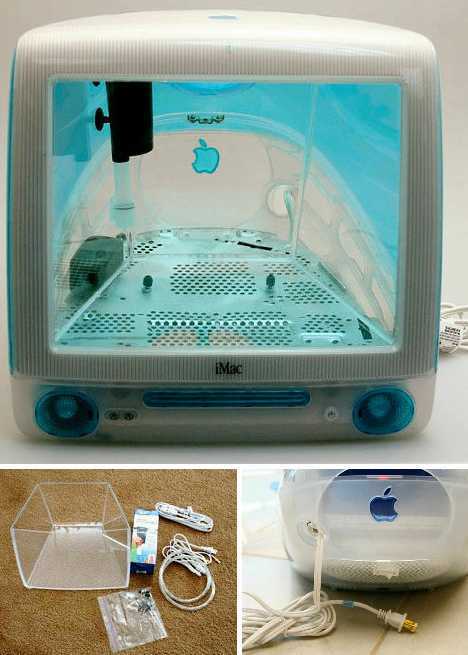 Enter the iMac G3. Apple’s iMac G3 was produced from August 1998 through March 2003, a staggeringly long run as computer designs go. Of course, the inner workings (and a few less obvious outer ones) were continually upgraded and fortuitously for Harms, new colors were introduced adding a dash of variety. 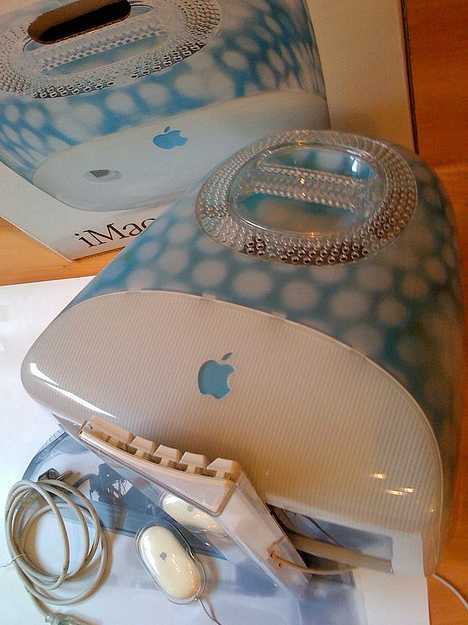 Originally trimmed in Bondi Blue (a sort of aqua hue), iMac G3’s eventually displayed a range of “fruity” tints augmented by the multicolor Flower Power and the blue & white spotted Dalmatian (above). 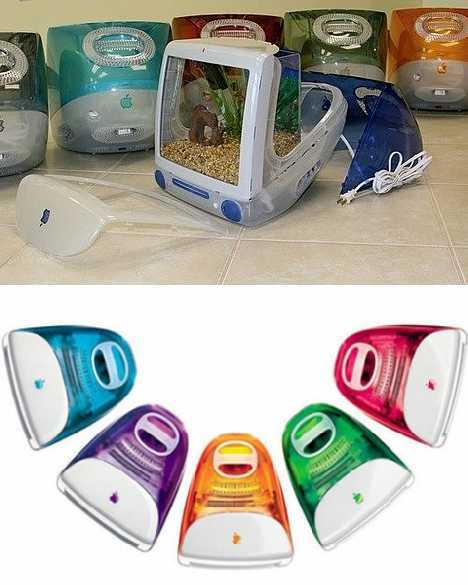 By basing his offbeat aquarium on the iMac G3, Jake Harms took advantage of the model’s long production run and eventual ubiquitous nature: there were plenty available and the design was familiar and friendly. 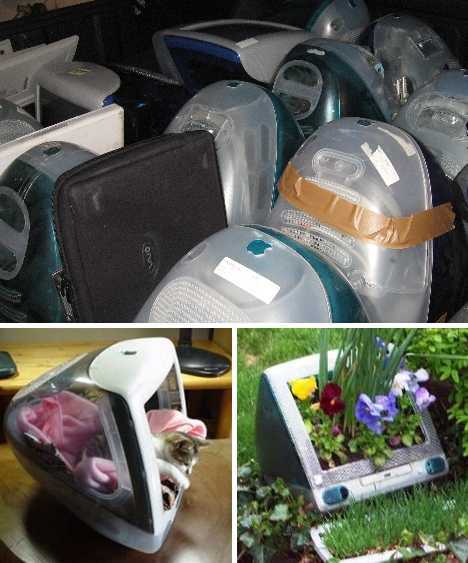 In addition, iMacs were built tough and if anything was going to wear out it was the internal electronics – which Harms wasn’t interested in anyway. Even in deepest, darkest Nebraska, used and discarded iMacs were easy to find. 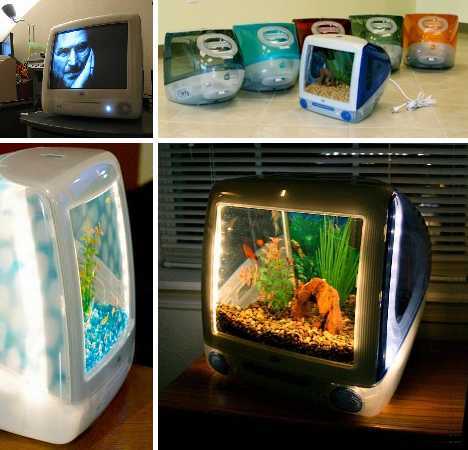 Cheap too; Harms pays under $10 per iMac from local recyclers and the components required to upcycle the cases into aquariums are inexpensive as well. 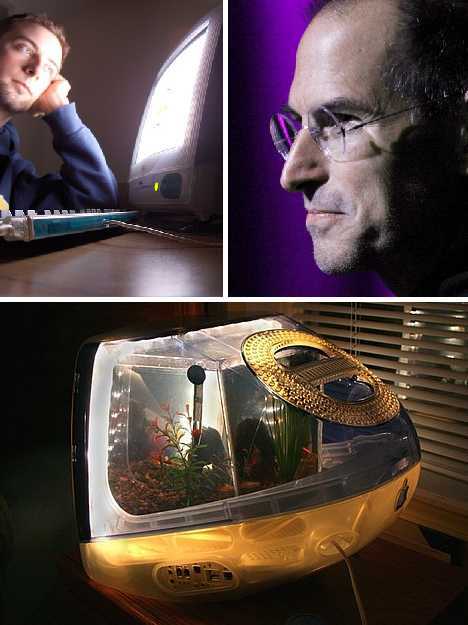 The only custom-made part is the plastic tank, ordered from a local plastics manufacturer and designed to fit the iMac’s unique interior space. 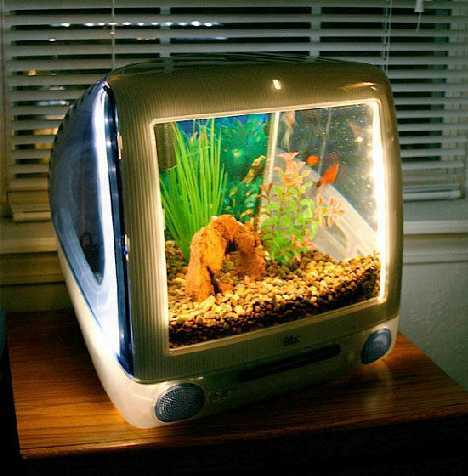 It’s the custom 3-gallon tank that really completes the Macquarium, as a standard tank’s flat front would ruin the smooth, curved, flush-fitted look of the original iMac’s screen. 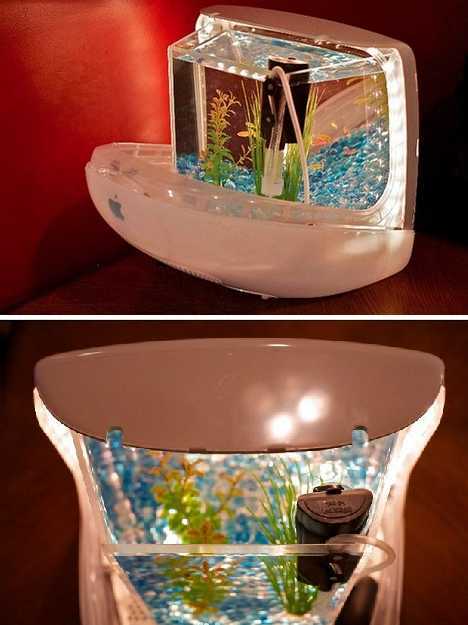 The main concern when one wants to build an aquarium is that the finished product should not leak. 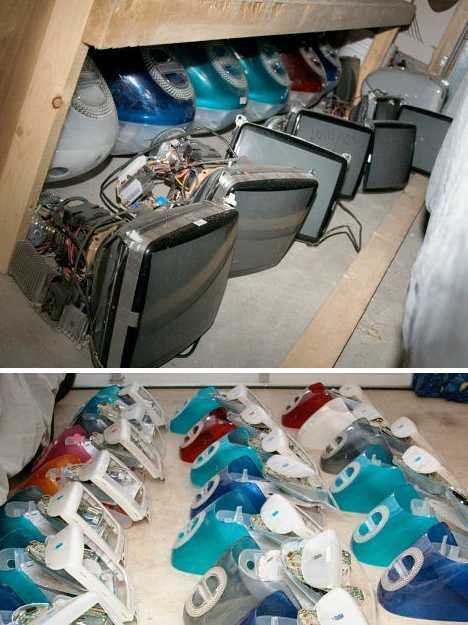 Harms filled his finished Macquariums with water and placed them in a bathtub to catch any leaks before putting them up for sale. Leakage onto customer’s floors wasn’t the only concern: the Macquarium’s interior is lit by a light installed beneath the transparent tank. Besides, current Apple owners just might expect the same level of quality control they’re used to with official (not of-fish-shell) Apple Inc. products. Harms’ Macquarium has received extensive publicity over the past few years and he continues to receive purchase inquiries from around the globe. Not bad for an idea that began as a prize in a hospital raffle to benefit child cancer patients… Harms raffled off the original Macquarium but kept a second prototype in case he needed to use it as a template for further production. Wise move, Jake! 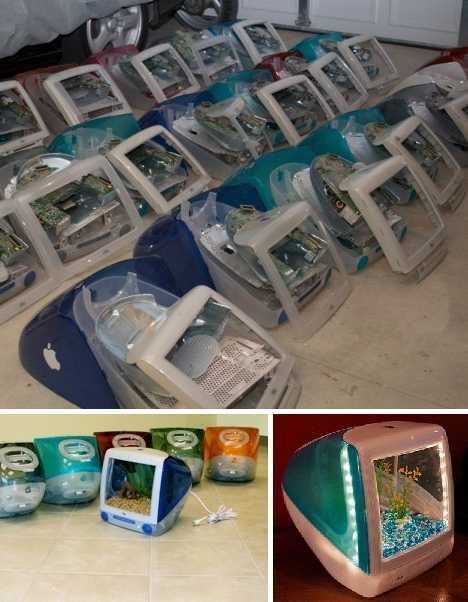 Got an iMac attack even a half-dozen MacDonalds Fish Filets won’t satisfy? The Macquarium just might fill that gap. Jake Harms recommends owners avoid stocking their Macquariums with goldfish in favor of guppies and/or tetras, and not too many at that. If you’re on Harm’s waiting list and your number comes up, be prepared to pay $250 for a finished Macquarium or $175 for a provide-your-own-iMac kit.